** This module requires “xml-rpc” extension added to your php. First, you will need to login to your client area and download a copy of “WHMCS Virtual Machine Manager“. Once downloaded, upload the file to your WHMCS root folder, and unzip the file. 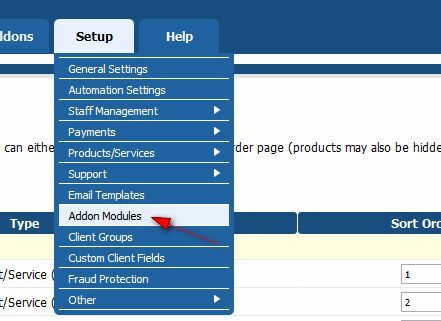 Login to your WHMCS as admin user, and navigate to “Setup” -> “Addon modules“. Now go back to “Virtual Machine Manager”, click “Configure” to add your license key. Save your changes and your module is all set. You will be able to access it through the “Addons” top menu.